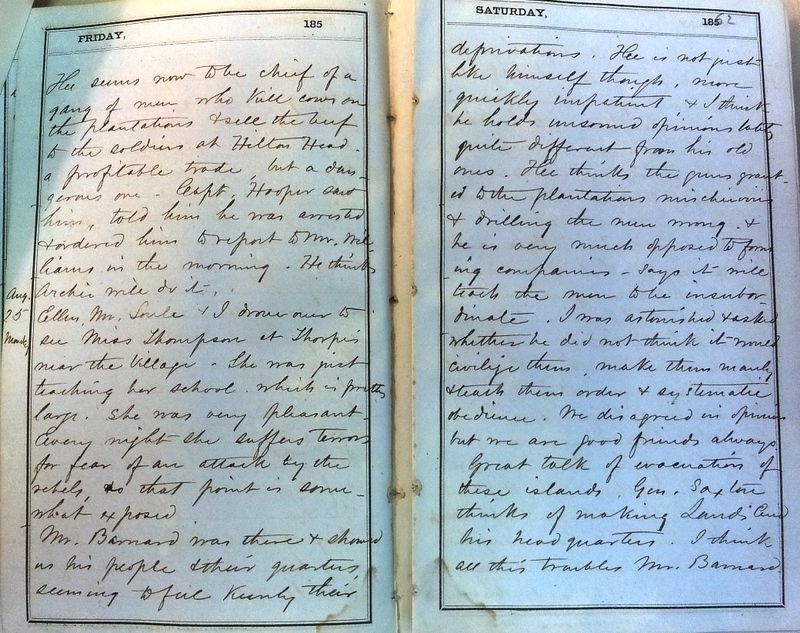 Item description: Diary entry from Laura Towne, dated 25 August 1862. This entry was posted in Southern Historical Collection and tagged diaries, Laura Towne, Penn School, South Carolina, women. Bookmark the permalink.